Home Nutrition Tips Chocolate Milk Post Workout: Help or Hype? Chocolate Milk Post Workout: Help or Hype? Drinking chocolate milk post workout might not be a good idea unless you’re bulking up. Whole milk is made up of the simple sugars glucose, lactose, and galactose, offering a whopping 150 calories and 13 grams of carbs per cup. These numbers are more than double for chocolate milk. Do you really want that much sugar in your system? Whole milk used to be a staple for old-school bodybuilders. After all, it provides a good dose of electrolytes along with whey and casein. The problem lies in its sugar content. Milk contains lactose, which acts similar to table sugar once it gets inside your body. Lactose is made up of one molecule of glucose and one molecule of galactose. During digestion, glucose enters the bloodstream where it can be used for energy or stored in your muscles as glycogen. Galactose is sent to your liver and then converted into liver glycogen; it doesn’t enter the bloodstream directly. When liver glycogen stores are full, any galactose or fructose ingested will be stored as fat. Just like other simple sugars, lactose will be stored as fat unless you burn the extra energy. If you’re cutting, you don’t want all that sugar in your body. As a rule of thumb, avoid lactose, fructose, and sucrose when liver glycogen is full or near full. Lactose not only creates addiction, but also requires a special enzyme called lactase in order to be digested. Most people lack this enzyme. Some also have milk allergy or lactose intolerance. As a result, they experience bloating, stomach cramps, gas, diarrhea, nausea, and digestive discomfort when drinking milk. Should You Add Milk to Protein Shakes? Adding milk to protein shakes is not recommended. Milk is 80% casein, which affects the overall absorption rate of your shake. The whole point of drinking protein shakes post workout is to feed your muscles quickly. This speeds up recovery and prevents catabolism. You don’t need slow digesting protein immediately after training. Milk offers only 8 grams of protein per cup (250g). The protein content is quite low, so it’s not worth the extra calories and carbs. There are better sources of protein that won’t make you fat nor cause digestive problems. Milk is a good choice only for hardgainers or those who are bulking up. Most fitness models and bodybuilders ditch milk and dairy before competing. Some don’t consume milk products at all. What about Chocolate Milk Post Workout? 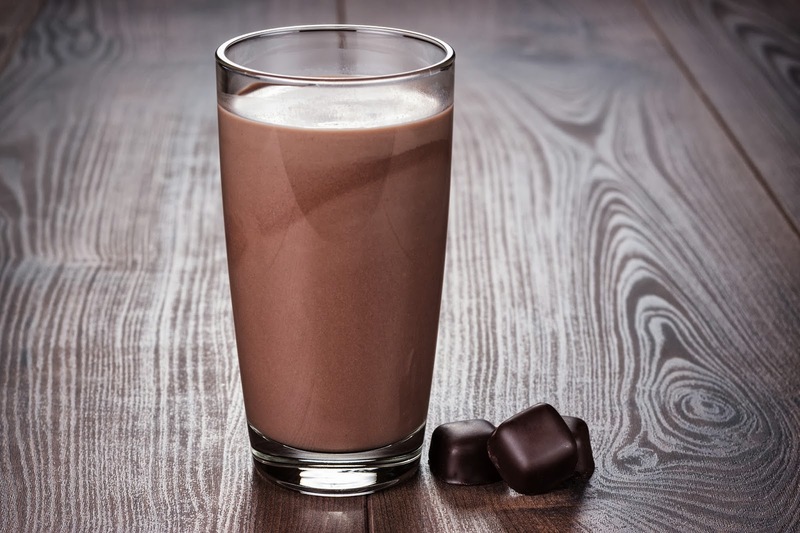 Low fat chocolate milk has more than 670 calories and 115 grams of carbs per liter. This should be enough to keep you away. As a hardgainer, especially during a bulking phase, you can have chocolate milk post workout. If this is not your case, choose other protein sources. Egg whites, tuna, beef, chicken, and whey protein supplements are a better choice than milk. Buy 1 Dymatize Casein, Get a 300g Creatine for Free at Bodybuilding.com! Shop Now and Save!